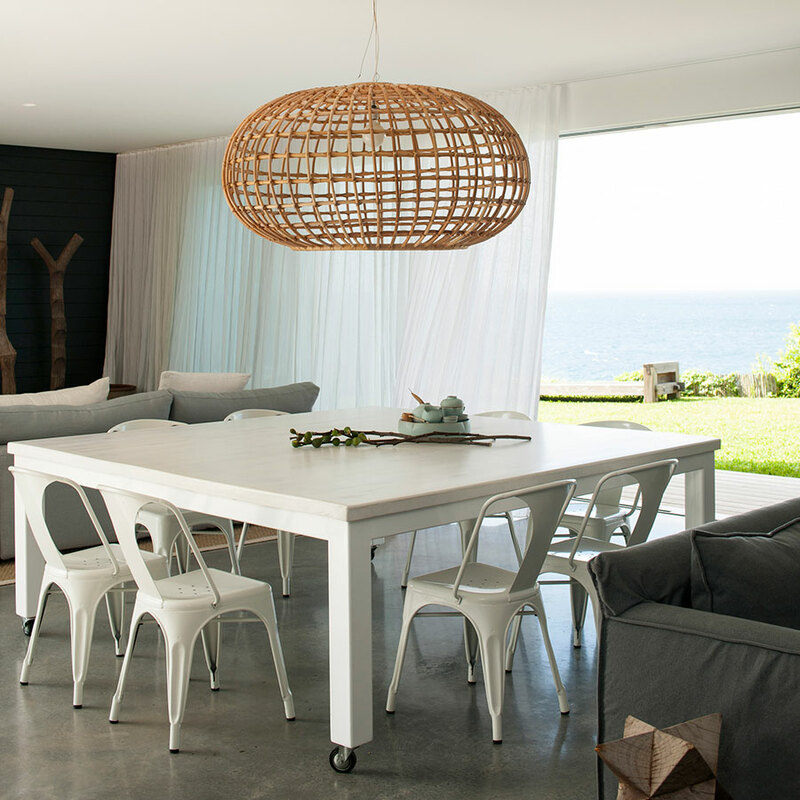 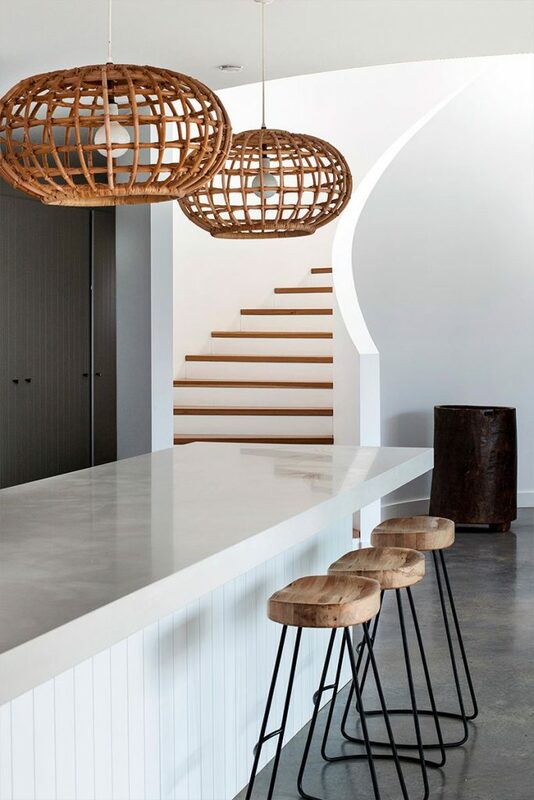 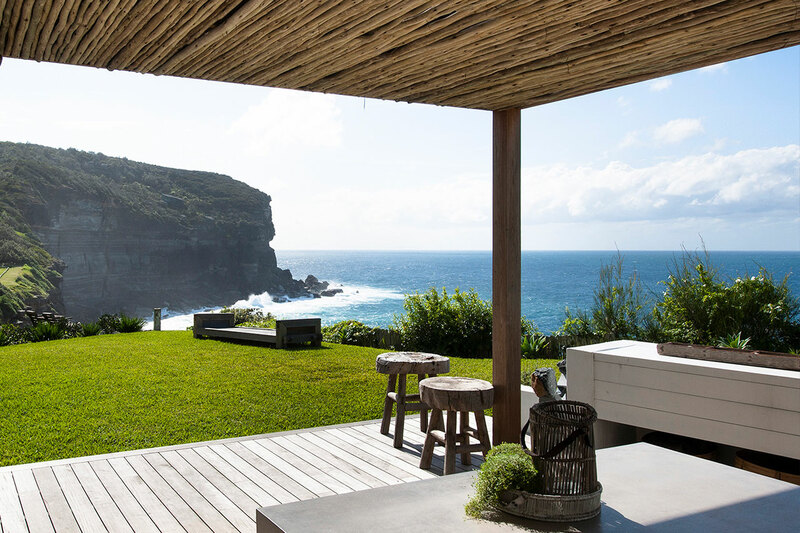 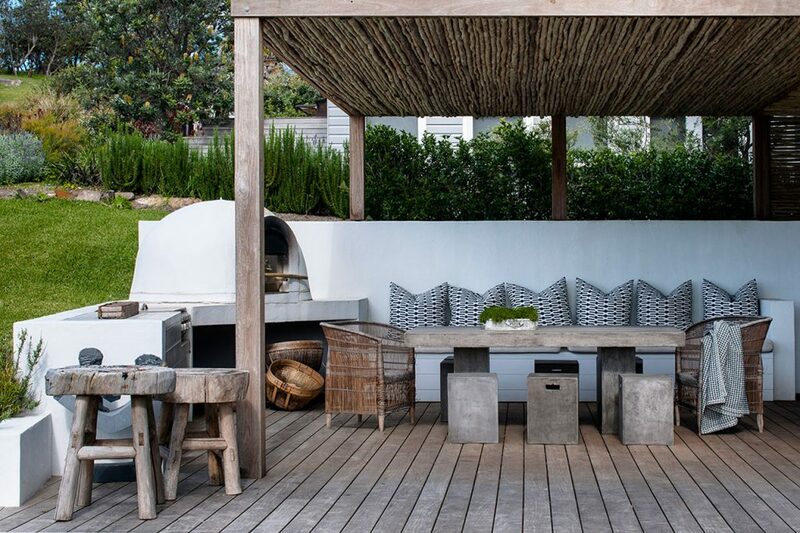 The perfect beach house should be a casual, effortless space, with seamless connections between indoors and out, a calm palette of natural materials and finishes, and an easy-going vibe that encourages relaxation… which sums up this quintessential beach house designed by Villa+Villa. 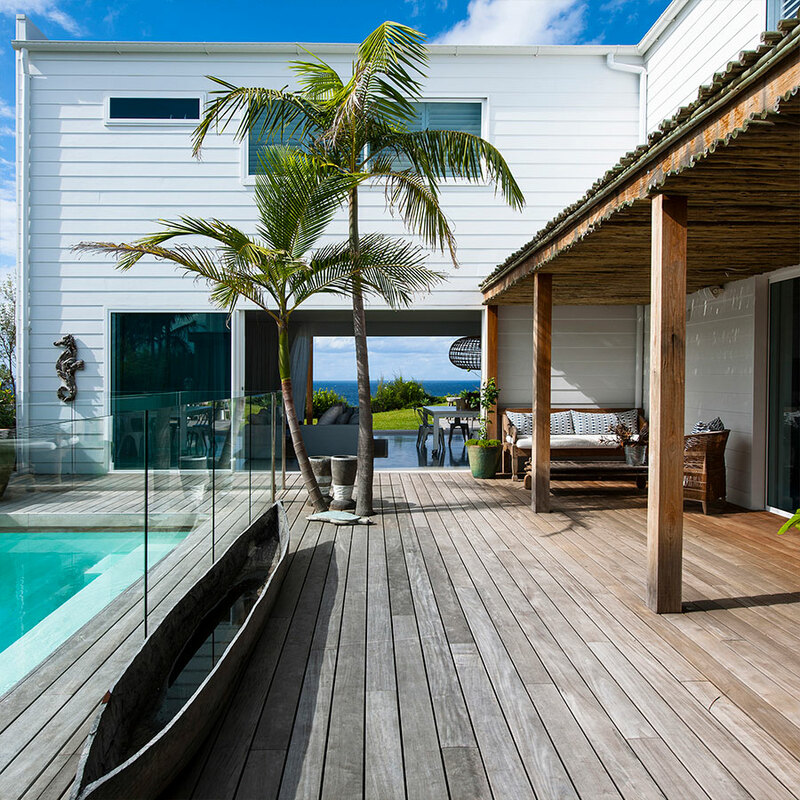 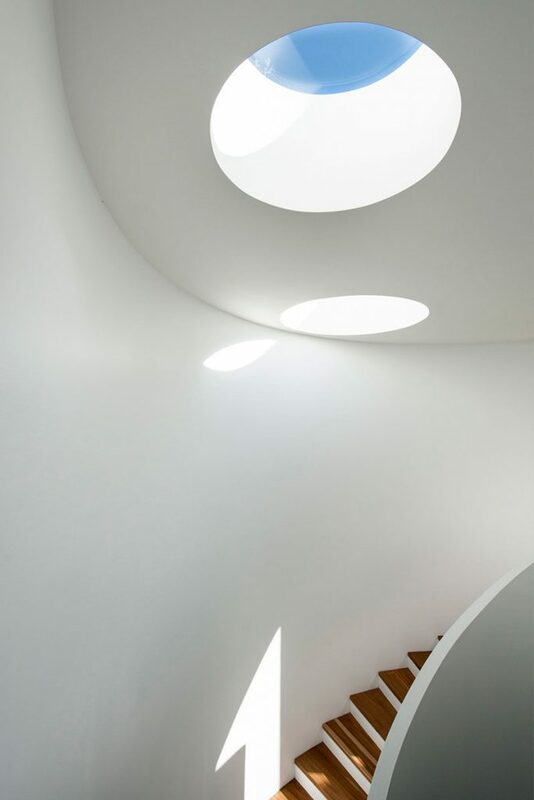 A white weatherboard exterior gives way to a crisp monochromatic interior. 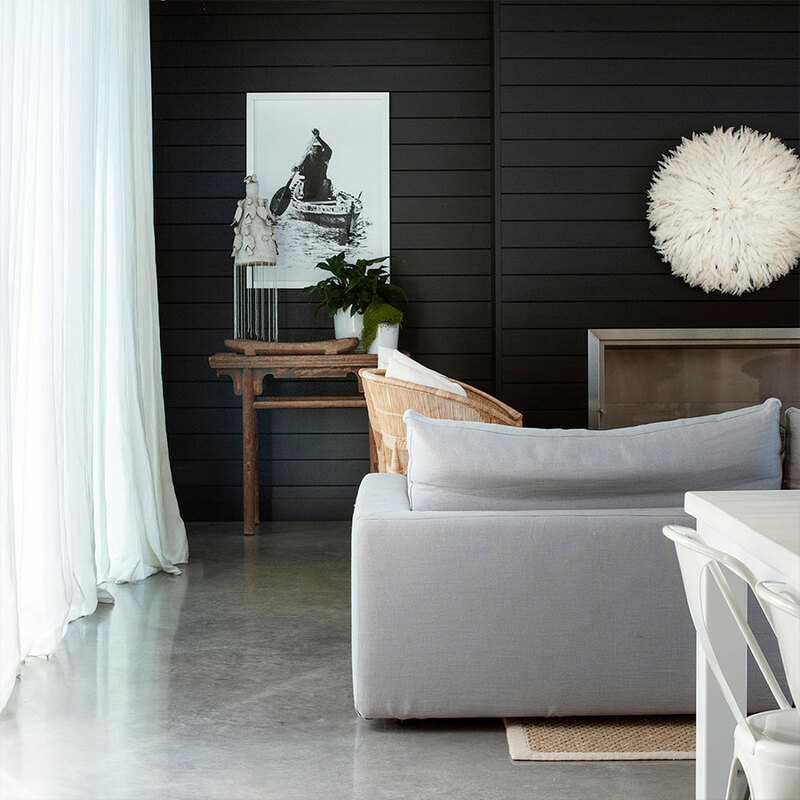 Layers of texture found in linen slipcovers and curtains, natural cane lightfittings and rustic timber pieces add warmth and invite ease.